A pair of bonnet pins and latches, with mounting hardware. 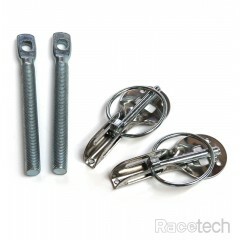 ..
A pair of bonnet pins and latches, with mounting hardware. Lightweight in alloy. 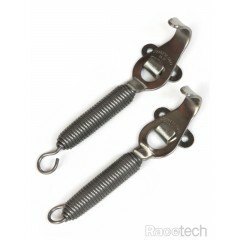 Your choice of..
A pair of spring-tensioned latches and mounting hardware. Choose either stainless steel or black. Id..